and it makes her laugh. I dedicate this tanka poem to my shadow, which needs locking up in a cage permanently, if it can’t behave itself. Last week, I reached the conclusion that I was flogging a dead horse with the juvenile fiction market; I just don’t write the type of novel that appeals to contemporary children or young adults. Okay, full stop and amen to that. 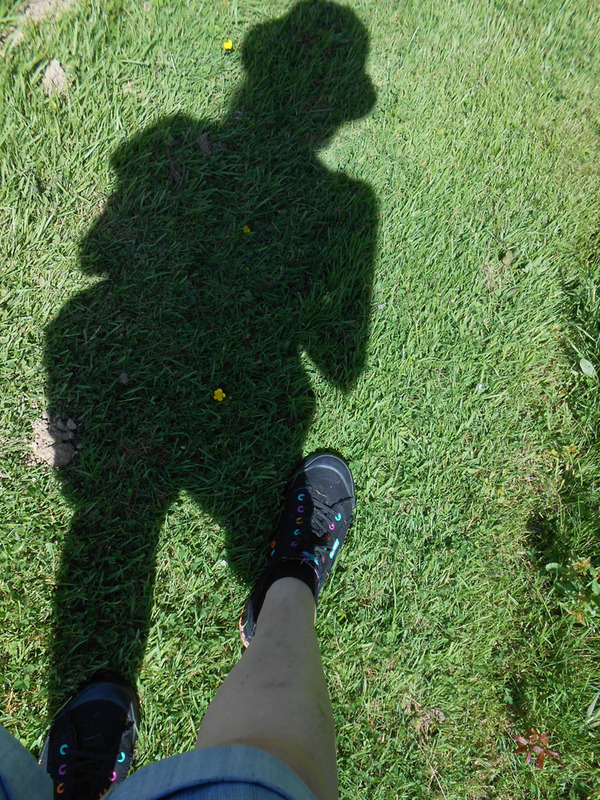 Fast forward to this week, by which time my shadow had convinced me that I should give up novel-writing altogether. …shades of Margaret Atwood and Naomi Alderman. Well, those are some “shades” I can deal with; the sun has definitely got his hat on and is coming out to play. From where I sit, some 6,000 miles away, that shadow is huge, and it is attached to a fine writer, and a finer person, and I’m damned proud to know it/her. 🙂 Congratulations once more, Sarah! I’m proud of you. Ooooo, I will look forward to hearing about your feedback, and am glad that it was encouraging. Many congratulations Sarah, I’m very pleased for you, it’s great news and great feedback. I know that shadow well – in the space of a couple of weeks I’ve had a story published but my novel was rejected by an agent. It’s easy sometimes to think it would be nice to just stop trying! I hope that encourages you to get Counting Magpies out there one way or another! Thank you, so much, Andrea 🙂 The whole literary agent and publisher thing is a sort of Catch 22 situation. I’m beginning to come to the conclusion that being signed up by an agent is as hard (if not harder) than getting a publisher, but unfortunately more and more publishers are using agents as their gatekeepers. At the moment, I’ve submitted to a small publisher who has a good track record with non-fiction and has just branched out into fiction, specifically speculative fiction. Whether I’ll get anywhere, who knows? I suppose I ought to try a few agents, too, but am just winding myself up into a state of optimism first (a heavy winch required!). I have great faith in your writing, Andrea, so just keep trying and I’ll let you know if I hear of any open submission windows at publishers who mostly keep their windows firmly closed!